A fragmented market and media propagation has emerged as a direct result of the evolution of technology. Media agencies now have a large variety of methods of reaching and engaging with potential customers. The proliferation of media has generated new challenges for marketers and identifying the most effective channel by which to reach online customers can be problematic. Marketers now need to develop an understanding of how consumers conduct their pre-purchase search for information about a given product or service so that they can optimize their promotion efforts. A fuzzy analytical hierarchy process cosine maximization (FAHPCM) approach was employed to assign the relative importance that online consumers give to a range of search factors. Following this, the technique for order of preference by similarity to ideal solution (TOPSIS) was utilized to assess the effectiveness of each respective channel. Finally, sensitivity analysis was conducted to verify the results. The effectiveness of the proposed approach is demonstrated through a numerical example. Previous research into consumer decision-making separated the process by which a customer makes a decision into five different stages: need recognition, pre-purchase, evaluation of alternatives, purchase and post-purchase (Grewal & Levy, 2013). Recent technological advancements in the realm of digital media allow marketers to connect with potential customers who are searching for information about a given product or service on a real-time basis (Jarvis & McElroy, 2004; Kelley & Jugenheimer, 2008; Saunders, 2004; Soberman, 2005). Modern-day consumers actively seek information about a product or service prior to making a purchase decision in order to ensure that they make the best decision possible (Hellström et al 2015; Hardwick et al, 2014). Pre-purchase research has become a critical aspect of the purchase process, especially in the case of high involvement products and services such as cars and health insurance. Given the relative importance of this pre-purchase search, a large amount of market research has focused on identifying and understanding customer’s information search behavior (Xiang et al, 2015; Ho & Bodoff, 2014; Jerath et al, 2014). A significant amount of research has been conducted on customer satisfaction post-purchase (Anderson and Sullivan, 1993; Oliver and Swan, 1989; Oliver, 1977, 1980, 2014). Of these, many studies have emphasized the key role that customer satisfaction with the pre-purchase evaluation process, which is independent of time frame. Further, it also plays role in overall satisfaction (Giese and Cote, 2000) and impacts later purchase decisions. This entails that there is a real need for marketers to examine and assess the extent to which consumers are happy with their pre-purchase information search. Many products in the modern world lack differentiation; as such, organizations need to develop a means of differentiating themselves and achieving a comparative advantage via effective customer service (Brynjolfsson & Smith, 2000; Fetherstonhaugh, 2009; Roberts, 1989). Through enhancing customer service, marketers can aim to derive ongoing benefits from loyal customers (Finkelman, 1993; Reichheld, 1996). In addition, existing research suggests that the extent to which a customer is happy with the pre-purchase information search will have a direct impact on their long-term relationship with an organization (Ozer & Gultekin, 2015; Parvatiyar and Sheth, 2001). A large number of studies have examined Internet-based information search behaviors; for example, through assessing the relevance various factors have for online search models (Maity et al., 2012) and attempting to segment customers according to the search-purchase strategy they employ (Shim et al., 2004). However, very few of these have considered the way in which customers interact with the various Internet information search channels that are available (Dwivedi et al., 2013; Satapathy & Patel, 2013). 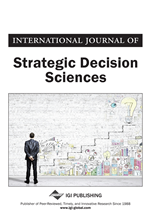 Further, some recent research have failed to develop a structured decision making model for understanding consumer behavior on internet (Moradi et al., 2013; Teimoury & Fathi, 2013; Varaprasad et al., 2013; Fazlollahtabar et al., 2012). Therefore, it has become critical for marketers to comprehend consumer’s behavior so that they can fully utilize the potential of internet information search channels. Moreover, there is no existing literature that contributes in this course. This study can help firms in marketing and advertising campaigns for marketing products online and allocating efforts across different channels.